Just 25 minutes northwest of downtown Wilmington is where you will find one of the best-kept secrets in all of Delaware. The Marshall Steam Museum at Auburn Heights Preserve offers visitors the chance to step back in time and appreciate the innovation that was the steam engine and the part that Delaware played in its development. In addition to having the world&apos;s largest collection of operating steam cars, the museum and surrounding grounds also include attractions like 1/8th size coal-fired steam trains and a stunning 1897 Queen Anne style Victorian mansion. The Marshall family was known first and foremost for operating the Marshall Brothers&apos; paper mill. However, as T. Clarence Marshall began to expand his collection of steam powered antique automobiles, he decided to build a large building to house that collection in 1947. Since that time, the museum has housed the world&apos;s largest collection of working steam engines, and the entire property was gifted to the state of Delaware by the Marshall Family in 2008. Today, the museum houses an extensive collection of steam-powered vehicles, a 1916 electric car, and two 1930s Packards. 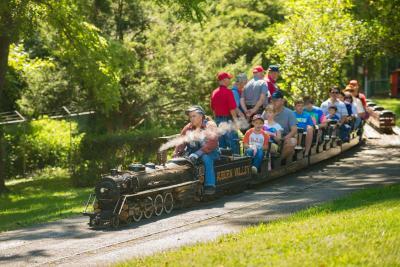 On top of that, there are also 1/8th size steam-powered trains that circle the property offering rides to younger visitors. In addition to the museum and the property, the incredible Queen Anne mansion that was the Marshall Family home was also gifted to the state of Delaware in 2008. Since that time, the home has been kept in pristine condition, with most of the family furniture and decorations remaining exactly as they were. The three-story home includes eight bedrooms and seven bathrooms across three upper floors and a full basement. At the time of its construction, the home featured impressive new technology like indoor plumbing, electric lighting, and steam heating. Because the museum and mansion are run by a team of volunteers, there are no regular hours for visitors. The best way to make sure that you have the opportunity to see everything is to contact the museum to set up a private tour. These require a group of eight or more, and the cost is $8 per adult and $4 for children. You can also tour the mansion as part of the open house tours that are held on the first Friday and third Saturday of the month running from April through November. These tours are offered at the same price as the private tours but eliminate the eight-person group requirement. In addition to the private and open house tours, the museum and mansion are open to the public for "Steamin Days" on the first Sunday of every month from June through November. 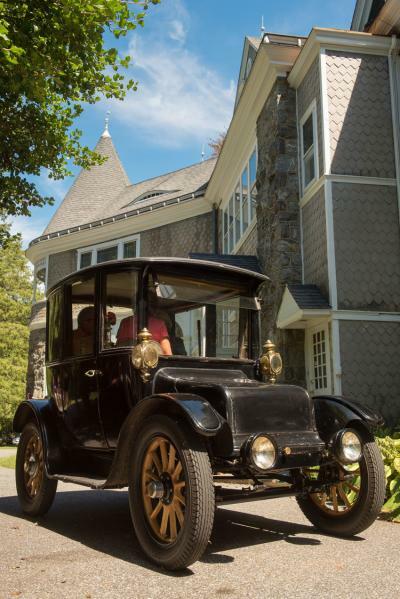 These events run from 12:30 pm to 4:30 pm, and they offer visitors the chance to climb into a steam-powered car and tour the Marshall mansion. The museum is also open on the first Tuesday evening of every month from May through November. Along with access to the museum exhibits, each of these evening sessions also spotlights some aspect of steam power or our local history. Whether you are passionate about steam-powered engines, interested in classic Victorian architecture, or just looking to learn a little more about Delaware&apos;s rich history, the Marshall Steam Museum and Marshall Mansion at Auburn Heights Preserve is the perfect opportunity to explore all those interests in one place. And the best part is that you can find the entire experience less than 30 minutes outside downtown Wilmington!